Based on Berry Gordy’s autobiography 'To Be Loved: The Music, The Magic, The Memories of Motown', Motown the Musical tells the story of the renowned record producer’s professional relationships with artists such as Diana Ross, Marvin Gaye and Michael Jackson. Comprising of over 50 Motown tracks from Gordy’s back-catalogue, including “My Girl”, “Dancing In The Street”, “Ain’t No Mountain High Enough” and “I Heard It Through The Grapevine”, Motown is a celebration of an unmatched era in music. Transferring from Broadway where it was nominated for four Tony Awards, Motown the Musical comes to the West End as a celebration of one of the most influential figures in music history. It began as one man’s story…became everyone’s music…and is now London’s hottest new show. 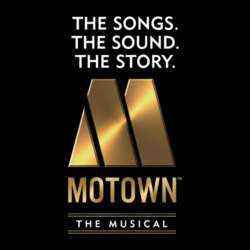 MOTOWN THE MUSICAL follows the legendary career of Berry Gordy and the creation of his musical empire, Motown Records. The story begins in Protected content , on the evening of the 25th anniversary celebration of Motown, and Berry Gordy is looking back on his career. Inspired by his childhood hero, black American boxer Joe Louis, the young Berry dreams big, hoping one day to make people as happy and proud. After a few years on Detroit’s automobile assembly line he sets his sights on bringing a socially charged, racially divided country together with music. With an $800 loan from his family, Berry founds a music-making factory. Motown is born!